Lifesavers Heaing Together is hosting their inuagural "Run/Walk For Our Heroes" which will host an opening ceremony honoring our Veterans starting at 9:00 a.m. hosting an Honor Guard and our Nations Colors to honor our Veterans and our best and bravest! The Run/Walk will assist us to raise money to continue to offer the free or nominally charged holistic programs and services we offer for Military, Veterans, Law Enforcement, First Responders, and their dependents. The walk starts at 10:00 a.m., Runs at 10:30 a.m.. Jennings Beach provides a scenic course, with slight inclines, winding curves, all through the beach community, while the sea air perks your senses as you make your way through the course. Enjoy music, nible food, and beverages prior to the event, water stations through the course, and a post race festival after the event! Come Join Us! Support Our Mission! 1 Mile Walk: 10:00 a.m.
Post Race Festival 12:30 p.m. Parking will be at Jennings Beach, 880 South Benson Road, Fairfield, CT 06824, South Side of parking lot by Playground. WAIVER: Please fill out waiver on line. WHAT TO BRING: Bring confirmation for registration. Any item necessary for your day to be a success. WHAT TO WEAR: Pay attention to the weather. Dress accordingly. THIS IS A FUNDRAISING EVENT! COME SUPPORT OUR COMMUNITIES HEROES! THANK YOU! 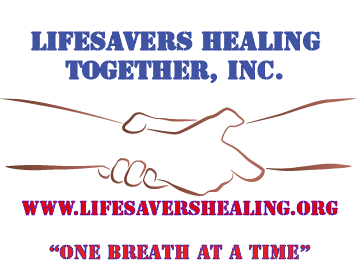 THE LIFESAVERS HEALING TOGETHER TEAM!